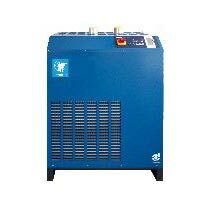 Based in West Bengal, India, we are a reputed Supplier of Compressed Air Dryer. Our world class Compressed Air Dryer is precisely designed to provide absolutely dry compressed air tested to ISO 7183. Available in different specifications, this dryer can ensure Constant Dew point Temperatures and can handle Variation in Load capacity of 0 to 100%. Our Air Dryer is suitable to all Indian environment conditions. It is provided with Aluminium plate type heat exchanger. We specialize in catering to the bulk orders of Compressed Air Dryer with utmost care.